Seven webcasts featuring Spanish-speaking captive insurance experts on the island are being released by the Bermuda Business Development Agency [BDA] to target Latin American audiences following this week’s World Captive Forum. The BDA videos feature bilingual captive experts from Aon, ASW Law, Jardine Lloyd Thompson, Marsh, PricewaterhouseCoopers, and the Bermuda Monetary Authority [BMA]. The webcasts follow seven successful English versions and are being released via numerous digital channels over the next few weeks. They can be seen here. 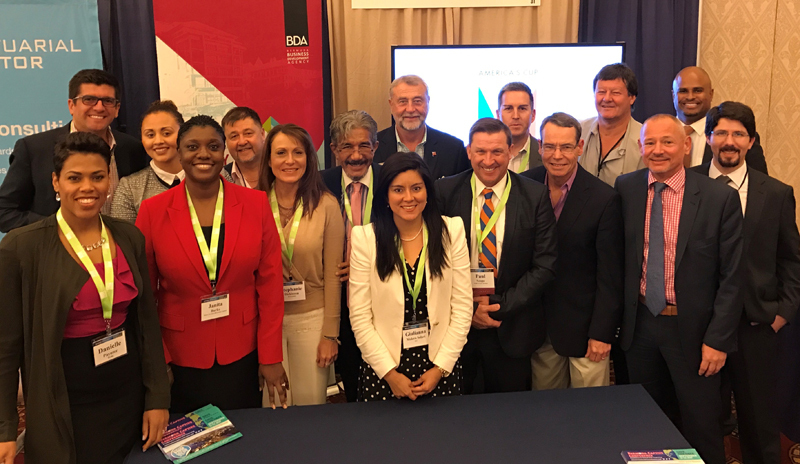 The project ties in with attendance by a BDA-led delegation of the 26th Forum in Boca Raton, FL, as well as a BDA industry roadshow planned for Chile and Peru this March. Nearly two-thirds of all Latin America-owned captives in the world are being formed in Bermuda; in 2016, incorporations were seen from Mexico, Peru and Colombia. “The Bermuda insurance market is lucky enough to have a wealth of LatAm expertise, including numerous native Spanish speakers who work in this sector,” said BDA Business Development Manager Jereme Ramsay. Latin America has been identified as a growth region for the whole captive industry, noted Grainne Richmond, President of the Bermuda Insurance Management Association [BIMA]. The World Captive Forum, presented by Business Insurance, annually attracts a significant number of LatAm-focussed delegates to its sessions and tradeshow, where the BDA has a prominent booth [Number 31]. The agency led a 20-strong “Team Bermuda” to the three-day event that wraps up today, including representatives from Aon, Appleby, Butterfield Bank, Estera, Granite Management, HSBC Global Asset Management [Bermuda], Kirkway International, KPMG, R&Q Quest Management, PwC, Marsh, and Willis Towers Watson. Bermuda moderators and speakers at this year’s event included: Michael Ian Coles, Chairman, President and CEO, Cedent; Eduardo Fox, Manager, Corporate, Private Client & Trust and Latin America, Appleby; R&Q President Nick Frost; KPMG Managing Director Tom Kelly; Granite’s Founding Director Brian Quinn; and Kirkway President Michael Woodroffe. “With the WCF attracting more risk managers, benefit managers, financial executives and organisations, it’s important for Bermuda’s captive industry to support this event,” said Richmond.